The Roland SP-300V lets you produce a wide variety of applications with excellent durability - both indoor and outdoor. This machine performs as a printer, printer/cutter, or standalone vinyl cutter. 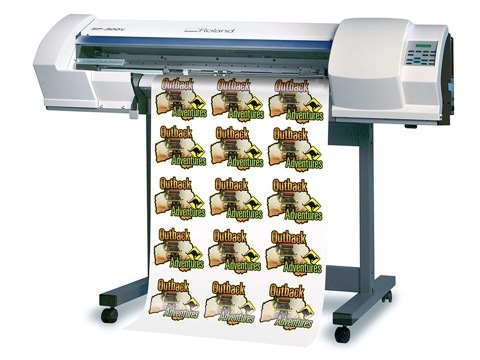 Roland's contour-cutting technology allows you to print and cut decals with ease. Prints on uncoated PVC media as well as a range of coated substrates from paper and canvas to backlit film.